There's a gathering of the gals here tonight including: the Hathors, Sekhmet (silent part), the Divine Dancing Daughters and all of the Sisters are in tow (a silent part for Sa-Ra too). Even though I know most of their ‘flavours’ well enough (except for DDD’s), it feels like they begin speaking as individuals and then start coming together as with One voice in this session, like they’re merging with each other continuously. Best way to describe the sensation I received here. Inspired also by Kibo’s reported meetings acted as something of a catalyst for this one – thank you Kibo! And I too received the symbolic image of the 1000 petalled lotus – a pink one given at the start of the week by CM. I think Kibo’s was discussed by Grandpa, if I remember right. It’s symbolic of the unfolding and the opening of consciousness. Yes beloved one, some roles have been tweaked to fit and those who, indeed, have taken it upon themselves to make the necessary adjustments in and for this end time scenario, will now find their efforts have paid dividends. Nada: Beloved one, I wish to come forth now. It is true that the people of earth at a level they cannot discern (in the main), are watching and waiting for an external event/s to trigger their inner responses to such change. The magnitude of this change for those who have chosen to sleep until now, will, as already has been discussed, many times and through many messengers, be enormous in impact. Yet, at the level of the unconscious, some of these ones have been preparing. And the question will be how they ALLOW themselves to re-act at the said time. Which will in turn determine their personal next steps and path. We are most excited for all that is to occur. And it cannot be stressed enough that our support is ever available to you with but a call. [Personal SK stuff here…] we all go forward together with you, in the One Heart and with One Mind. Beloved, we would add our voice here. Our ability to provide an anchor for the people of earth is now beginning to have an effect - taking into account the state of most on the planet currently. Particularly as the last dregs of the dark and its residues are cleansed and swept away. Thus will be an increasing strength in all of our endeavours on this side of the veil, impacting on yours. And a new kind of staying power. One which has not been fully able to take root, as it were, before. So we would say that this is definite 'breakthrough' time. And none too soon. The pocket of continued dark resistance weakens daily and it has less and less effect. Although illusions of control still remain, such as in and through your media. 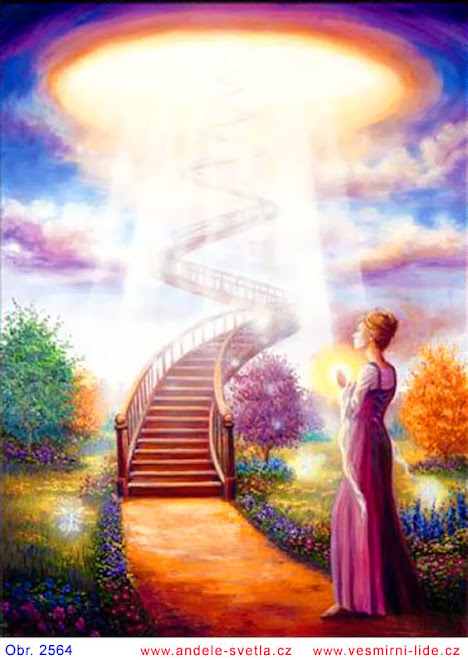 However, what is really occurring as they try final attempts to breakdown human consciousness further is the strength of Light and our Love that is now being superimposed over their continued attempts at damage creation. This IS having a dissolving effect. That you all and this one, our Shellee-Kim, are seeing and feeling what she describes as a 'hardening of hearts' is so, at one level, and as the dark sweeps across consciousness. But at another, it is not necessarily permanent in its effects. And therein will lie the test (and the subsequent choices) of those who are to yet awaken. We are exceptionally hopeful. Not that we believe there will be large amounts of people making miraculous transformations within. But that sufficient numbers will understand much of that which has occurred and how they have been used as pawns on a grand stage of deception. The acceptance of this will see them in good stead for the next steps on their respective journeys. And this we do see as a good measure of success in the overall Plan. Indeed, this is enough for now. We will return to you shortly with more messages, beloved one. Divine Dancing Daughters: Indeed, we are all here at your service and with some words to share at this time. DDD’s: We know you enjoy your abbreviations and the 'DDD's is perfectly acceptable to us. We are the Divine Dancing Daughters or Daughters of the Father. [SK personal stuff here from them first…] This is for all those who have gone through (and continue to go through) the pains of their own (re)birth. We, the DDD’s, are here to tell you that nothing is as is it seems. There are great and worthy beings around the world in human form, readying themselves to come forth, each designed to stream a different take on Truth. With or without support, the long hard years of preparation for many have taken their toll on each - this is true. However, it has also been a series of necessary initiations in readiness for what is now to come. Remember, the more serious the initiations experienced by an individual, the greater the workload and the level of responsibility to be borne by that individual. This is a rule of thumb. We would like to say that there are 'none so blind as those who cannot/will not see'. It cannot be repeated often enough as part of the programming on your planet is to achieve exactly this. Change on your planet is perceived very fearfully by the vast majority of you. It is therefore rarely seen as something that can have most beneficial consequences for the soul’s journey. And more often the ‘tragedy’ of the circumstances prevail uppermost in the minds of those who felt themselves to be victims of the varied occurrences. Once the dust has settled on the trauma experienced by individuals through change, a great gift waits to be grasped. The inner gift can come, if allowed, through the catalytic events in the life of the individual. Thus should each and every individual be given the fullest opportunity to respond for their highest good. No matter that change of this nature may come late (as perceived by you in your time/space), for the soul’s nature and journey is indeed eternal. Thus, you are all urged to provide every imaginable platform in as many ways as possible to all those who have even the slightest willingness or openness to understand change from another/a different perspective. We will leave this with you for now and will also soon return with more. Thank you so very much, beloved one. We are the Hathors come to you once more after a long absence. How have you been, my friend? Yes beloved Shellee-Kim, the way has been hard and steep for many of you. Yet you have not given in or given up. And you are all due to have some very good external help coming from outside of yourselves shortly. Too many on your earth have lingered over their choices, even though this has been an ideal period with which to consolidate the aspects within that required this. And, as we see this, there has not been the commitment by a large portion of those that were thought ready. This was partly expected. And a plan existed to cover this possibility also. It can be seen by many at this time as the ‘critical’ hour. Most are feeling this in one or many ways, yet know not from where the feeling comes and great unease prevails amongst your global population, as a result. Have no fear, little ones. Your Father has made plans which are quite exquisite in their perfection. And all is to be played out in accordance with His will. Ah, this one smiles, and so she should. For these plans are quite magnificent and of the order not experienced on earth for millennium. Our role is to become one of way more direct mentorship as we enter these coming times. There will be numerous of you that are to work with us and our guidance will be a recognizable force, helping to sustain change on your world. Of course, we are to be one of many such groups or influencing energies. A potpourri of thinking and subsequent resolution from all over your universe and beyond will be a greater part of solutions to come forth for implementation on your world. Always in co-operation with you on the earth. And we are delighted with our soon-to-be involvement more personally with you. Our beloved friends on earth: as you go about your daily work, your interactions and struggle your way through your various challenges, know that we are ever present. We are far more closely involved with you all, based on our history. And much of that link is yet to be revealed. We hold you in the highest possible esteem, friends of earth. For your journey(s) have truly been astounding. And what’s more, you emerge – more or less intact, albeit very war-weary survivors. We are so very proud of your achievements. And we wish to blow a bugle in honour of them and you. 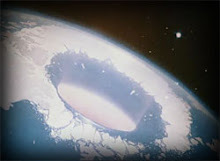 There are many who, had they the opportunity to have this earth placement at this time, would have jumped at the chance. But it was decided in advance to round up those ones who’s experience in planetary ‘takeovers’ was superior, as an extra safety measure. And thus the assignment was offered first to all of you. We do hope you have no regrets about coming here at this time. You did know exactly what you were in for, in advance. But you and those of your respective teams had great faith in your abilities. You are boundary-breakers, after all. And not ones known to withdraw easily from the ‘battle field’. Indeed, we will sign off as this one grows sleepy. And we wish for her to be well rested. As we wish our Love upon all of you. We are most anxiously watching and waiting for the moment when we can step forward in greater service to you. For now, we hold you all in our embrace. Monsanto want to do some serious damage control and some decent negative-association reversal in the minds of the masses after recently being kicked out of or prevented entry from certain European and Eastern countries. Even Monsanto’s website is on the defense, with page after page attempting to justify what the biotech industry is doing to our food supply. It must be true if even leading “philanthropists” (and I use this term loosely) like Bill and Melinda Gates are behind the distribution of Monsanto crops across the globe. Right? Actually, it’s all about the public’s perception. The push for acceptance of GMO foods has, thus far, been all about which team has the most money. Monsanto and their ilk can afford more television ads and more PR than anti-GMO activists can. Because the biotech companies, Big Food, and Big Agri can pay to spread their message, many people are convinced by their pure propaganda that GMOs are a necessary evil if the Third World is to avoid millions of slow, agonizing deaths by starvation. Because biotech is able to afford to blanket the media with their perspective, their view point is accepted as the correct one because that is the only perspective that many people ever hear. But just because they shout the loudest, that doesn’t make it true. How we address these misconceptions can mean the difference between swaying people to examine these claims more closely or causing them to stick their fingers in their ears and sing, “lalalalala…” to block us out. Here are some of the most common myths that Monsanto and friends would like you to believe about the wonderful world of GMOs. Myth #1: No one has ever proven that GMOs are harmful to people. Monsanto mouthpieces have been quoted time, time, and time again stating the untruth that genetically modified organisms have never been proven to harm people. It seems that they believe, like Joseph Goebbels, the uncontested King of Propaganda, that if you repeat a lie often enough, and with enough conviction, that it becomes the accepted truth. The reality: Just a few of the results of a GMO diet (based on peer-reviewed studies) are: grotesque tumors, premature death, organ failure, gastric lesions, liver damage, kidney damage, severe allergic reactions, a viral gene that disrupts human functions…you can read more HERE. Myth #2: GMO crops are the only way to solve world hunger. The most common pro-GMO argument that you will hear these days is that genetically modified crops are the only way to feed the worlds burgeoning population. Without them, proponents claim that hunger will claim the lives of millions over the next decade. In the gospel of biotech, GMOs are the answer to world hunger. If you protest against GMO technology, you are cast as a cold-hearted elitist and the deaths of all of those suffering children in ***** (pick-a-3rd-world-country) rest firmly on your doorstep. The reality: Sustainable agricultural practices are the answer to world hunger. GMO farming practices are not sustainable. Farmers who plant GMOs are not able to save their seeds from year to year due to patent infringement and poor fertility in the seeds. Therefore, after getting the first year of good harvests, the following year they must continue buying seeds, leading to perpetual debt and enough financial despair in India (the Bt Cotton scandal) that an Indian farmer took his own life every 30 minutes, after becoming the indentured servant of Monsanto and drowning in insurmountable debt. Well over a quarter of a million farmers died by suicide before the country banned the sale of Bt cotton seeds. Numerous reports from nonprofit, governmental and international organizations have concluded that food can be produced sustainably by bringing ecological principles to agriculture through a practice known as agroecology. The practice supports small-scale, traditional methods of farming and promotes crop diversity over a single-food crop, often referred to as a monoculture. Practicing agroecology also enables farmers to become independent and self-sufficient producers of natural, healthy foods. Myth #3: GMOs need less pesticide spraying. Crops with a Bt trait have been modified to produce a protein that is toxic to various forms of insect larvae. Bt proteins have long been used as topical sprays in conventional and organic agriculture because they are effective and can be used safely. Crops that are genetically engineered to carry the Bt trait allow farmers to protect their crops while eliminating or significantly decreasing the amount of pesticides sprayed. But a new study released by Food & Water Watch yesterday finds the goal of reduced chemical use has not panned out as planned. In fact, according to the USDA and EPA data used in the report, the quick adoption of genetically engineered crops by farmers has increased herbicide use over the past 9 years in the U.S. The report follows on the heels of another such study by Washington State Universityresearch professor Charles Benbrook just last year. Both reports focus on “superweeds.” It turns out that spraying a pesticide repeatedly selects for weeds which also resist the chemical. Ever more resistant weeds are then bred, able to withstand increasing amounts – and often different forms – of herbicide. At the center of debate is the pesticide glyphosate, the active ingredient in MonsantoMON +2.23%‘s Round Up. Food & Water Watch found that the “total volume of glyphosate applied to the three biggest GE crops — corn, cotton and soybeans — increased 10-fold from 15 million pounds in 1996 to 159 million pounds in 2012.” Overall pesticide use decreased only in the first few years GE crops were used (42 percent between 1998 and 2001) and has since then risen by 26 percent from 2001 to 2010. Other organizations concur and even the mainstream media has been forced to report that pesticide and herbicide usage is on the rise. Check out these recent articles from Huffington Post and Reuters for more information. Myth #4: GMO technology is comparable to the cross-breeding that our ancestors did to create hardier versions of heritage crops. Want to hear something extraordinary? Chances are, almost everything you’ve eaten in your entire life was genetically modified. The same was true for your parents…and your grandparents. For more than 10,000 years, mankind has selectively bred plants and animals. The cows you see in farmer’s fields bear little resemblance to the ancient Aurochs from which they descended. And the corn you eat is the domesticated version of a wild grass called teosinte. Furthermore, GMO seeds seldom cross different, but related plants. Often the cross goes far beyond the bounds of nature so that instead of crossing two different, but related varieties of plant, they arecrossing different biological kingdoms — like, say, a bacteria with a plant. What’s even worse is that biotech has the ability to produce their seeds with a built in “terminator technology.” This means that the seeds cannot be saved from one year to the next (unlike the cross-pollinated seeds with which they try to claim kinship). Monsanto has patented the technology (called gene use restriction technology) but claims not to use it. This would produce sterile, lifeless seeds that could not be reused, leaving the farmers utterly dependent on the biotech companies for future crops while providing an ongoing stream of income for those companies. At this point they maintain their monopoly through a series of contracts and patents that require the repurchase of seeds annually. Myth #5: If the FDA and the USDA allow GMO’s, they must be safe to consume. FDA is responsible for protecting the public health by assuring that foods (except for meat from livestock, poultry and some egg products which are regulated by the U.S. Department of Agriculture) are safe, wholesome, sanitary and properly labeled; ensuring that human and veterinary drugs, and vaccines and other biological products and medical devices intended for human use are safe and effective. To expand economic opportunity through innovation, helping rural America to thrive; to promote agriculture production sustainability that better nourishes Americans while also helping feed others throughout the world; and to preserve and conserve our Nation’s natural resources through restored forests, improved watersheds, and healthy private working lands. The reality: All of the above is just feel-good, warm and fuzzy rhetoric. Perhaps there are employees that truly believe in what they’re doing, but the leadership is as sickeningly tainted as Bt Corn. Part of the reason Monsanto has been so successful in the courtroom has been the company’s incestuous ties to the US de facto government. Despite the blatant conflicts of interest, Monsanto executives have held Cabinet, judicial and policy-making positions in the Bush, Clinton and Obama administrations. When you’re sleeping with the enemy, the enemy tends to get away with all manner of crimes. Elena Kagan: Obama Solicitor General (when she famously took Monsanto’s side against organic farmers in the Roundup Ready Alfalfa case) > US Supreme Court justice. Clarence Thomas: General Counsel for Monsanto > US Supreme Court justice. Make no mistake, the commissioners, directors, and secretaries of these agencies are put in place for a reason. That reason is to grease the wheels for the wealthy biotech firms (and drug companies and Big Food companies and…well, you get the idea). Through an abuse of trust placed in them by the American people, they abuse their power and practice deception on the grandest scale imaginable. If the FDA, USDA, or the EPA approve something, you might want to view it with more suspicion than acceptance. If they can say that radiation and pesticides are acceptable in your food, but that raw milk isn’t acceptable for consumption…well, there’s something incredibly wrong here. Myth #6: There is no nutritional difference between GMO’s and non-GMO’s. Biotech will tell you that there is absolutely no nutritional difference between genetically modified food and its organic counterpart. They will cite the calories, the fiber, and all of the macronutrients, pointing out that they are identical. They will scoff and roll their collective eyes at the “ignorance” of people who pay double to triple the price to avoid GMOs in their kitchens. Even television’s Dr. Oz came out on his show in support of the nutritional equality of GMO foods, saying that organic food was “undemocratic”. GMO Corn has 14 ppm of Calcium and NON GMO corn has 6130 ppm. 437 X more. GMO corn has 2 ppm of Magnesium and NON GMO corn has 113ppm. 56 X more. GMO corn has 2 ppm of Manganese and NON GMO corn has 14ppm. 7X more. In a study that Dr. Huber reported, on Elizabeth Dougherty’s Talk Radio, .97 ppm of formeldehyde showed to be toxic in ingestion to animals. This corn has 200X that! That is why the animals , given a choice will not eat it at all, they can smell the formeldehyde! Myth #7: GMOs are impossible to avoid. It’s true that GMOs lurk in over 70% of the processed foods that line the grocery store shelves. Even the mainstream media has reported on the omnipresence of genetically modified ingredients. This makes it very difficult to avoid them. The biotech companies have spent millions and millions of dollars in the fight against GMO labeling in an attempt to convince the public that the grocery costs will go up without their seeds. Avoid all processed food. Every single bit of it. You don’t know what all of those scientific sounding ingredients are – and many of them are derived from things like GMO corn, soy, and canola. Spend one week cooking from scratch to help identify the places that processed foods are sneaking in. Use only single ingredients for one week: flour, rice, oats, organic milk and yogurt, grass-fed meat, organic fruits and vegetables, and basic pantry supplies (yeast, baking soda, etc.). Buy organic dry items like wheat, rice, and oats, in bulk. Grow your own. No matter where you live, make an effort to grow as much of your own food as possible. Even a salad garden in a sunny windowsill is a start. This is the only way that you can truly know what you are eating. Search out sources of real food near you. The next best option to your own garden is making friends with a local farmer at the market (find one HERE) – you can purchase many things in bushels at a much better price than the 1 pint baskets. Learn to preserve food. By canning, freezing, dehydrating, and root-cellaring, you can preserve your healthy harvests so that you are not hostage to the grocery stores in the non-growing months. Know what ingredients are most likely to be GMO. Over 85% of soy and corn in North America is GMO. That means that if an item is not labeled “organic” and contains one of those ingredients (in its many different disguises) that you are consuming somebody’s science experiment. Myth #8: Monsanto has our best interests in mind. The sustainability of agriculture is also central to our three-point vision—produce more, conserve more and improve lives. But it isn’t just a vision. It’s the heart of our business. Whether that is through our work in the field with farmers, or in the communities where we operate around the world, it is core to our global operations and is a priority for how we steward our business every day. Five years ago, Monsanto laid out an ambitious set of goals in sustainable agriculture focused on these key areas where our business could help to make a positive impact for farmers and broader society. We committed to support agriculture’s ability to produce more on the same footprint of land while conserving other natural resources. At that time, we also committed to help improve lives by supporting new tools and approaches to help lift smallholder farmers out of poverty and improve their overall prosperity. Today, the more than 21,000 men and women of Monsanto around the world continue this important work. At the risk of your breakfast, click HERE to learn more about Monsanto’s commitment to integrity, dialogue, transparency, sharing, benefits, respect, acting as owners to achieve results, and creating a great place to work. The reality: A German magazine, Sustainable Pulse, views it a little differently. Last week they came out with an article that outlined the mysterious mishaps that have been befalling activists and researchers across Europe. Here’s a link to the enlightening article (English version). Last month, just days before researchers were to present a damaging study, their computers were attacked by sophisticated hackers. The scheduled press conference had to be cancelled. However, there are studies which show that the product may damage plants and animals and the latest study shows that many large city inhabitants now have the field poison in their bodies, without knowing it. Exactly what the spray can trigger in an organism is, as with so many things in this field, disputed. Two days before the study across 18 countries was set to be published, a virus disabled the computer of the main organiser, Adrian Bepp. There was a threat that press conferences in Vienna, Brussels and Berlin would be cancelled. “We panicked”, remembers Heike Moldenhauer from BUND. The environmental activists were under extreme time pressure. The article above also speculates that the US government itself is on board with spying on anti-Monsanto activists…it’s a must-read. According to internal Total Intelligence communications, biotech giant Monsanto—the world’s largest supplier of genetically modified seeds—hired the firm in 2008–09. The relationship between the two companies appears to have been solidified in January 2008 when Total Intelligence chair Cofer Black traveled to Zurich to meet with Kevin Wilson, Monsanto’s security manager for global issues. After the meeting in Zurich, Black sent an e-mail to other Blackwater executives, including to Prince and Prado at their Blackwater e-mail addresses. Black wrote that Wilson “understands that we can span collection from internet, to reach out, to boots on the ground on legit basis protecting the Monsanto [brand] name…. Ahead of the curve info and insight/heads up is what he is looking for.” Black added that Total Intelligence “would develop into acting as intel arm of Monsanto.” Black also noted that Monsanto was concerned about animal rights activists and that they discussed how Blackwater “could have our person(s) actually join [activist] group(s) legally.” Black wrote that initial payments to Total Intelligence would be paid out of Monsanto’s “generous protection budget” but would eventually become a line item in the company’s annual budget. He estimated the potential payments to Total Intelligence at between $100,000 and $500,000. According to documents, Monsanto paid Total Intelligence $127,000 in 2008 and $105,000 in 2009. Monsanto is taking surreptitious action against the movement, whether on their own or through the use of “contractors”. They have engaged in a social media war against activists. Mysterious things have been occurring on the social networks: posts have disappeared, some posts are hidden from the timelines of readers, and trolls abound on pages like March Against Monsanto and Occupy Monsanto. Readers often have difficulty sharing pertinent anti-GMO articles on social media. The internet war is ON. Myth #9: GMOs are not harmful to the environment. Biotech would have you believe that the farming of GMOs is as green an industry as organic farming, bringing prosperity and abundance to all. The reality: We need look no further than the island of Molokai in Hawaii to see the horrible environmental damage wrought by Monsanto. Air quality and water quality are deadly because of Monsanto’s almost-2000 acre test facility. The story of the island is heartbreaking: people are dying horrible deaths, infertility is rampant, and other farms are being tainted by cross pollination from the frankencorn growing there. Workers wear head to toe protective gear during spraying, including respirators. Nearby residents, however, are not provided with such equipment and have no option but to breathe in the toxic dust that comes from the fields. This is not merely anecdotal to the small island – worldwide, many areas around GMO farms report horrific bloody skin rashes, an uptick in asthma, and toxic pesticides that leach into the groundwater. Myth #10: Get used to it. GMOs are here to stay. Biotech wants you to believe that there is no sense in fighting them. They want you to just accept what they have to say and eat their tainted products. They hope that people feel like they are too powerful to fight and like the battle has already been won. The reality: There is a war against GMOs and we, the resistance, are gaining ground. By sharing information like this and informing the public of the poisons that are being grown in our own back yard, we can fight back against biotech. By using the power of social media, by organizing and demonstrating like millions of people did during the March Against Monsanto, we can say no. By refusing to purchase any products that contain GMOs , by refusing to consume GMOs at restaraunts, and by spreading the word about the dangers, we can make a difference. By educating the public and letting them know that we have been deceived by the biotech industry, by Big Agri, and by Big Food, and that we have been betrayed by the elected officials and the agencies of our own government, we can stand united against these monolithic companies. We can remind them that the only way they will stay in business is if we, the consumers, purchase their products, and that we, the consumers, will not allow them to poison our families and our environment anymore. Become a grocery store revolutionary. This is war. If something could mean the difference between life and death for your children, between health and disease, between fertility or barrenness, wouldn’t you do anything to keep them safe? That’s why we can’t just sit there and watch this go on from the sidelines, shaking our heads. It really is as simple as just saying no to GMOs but we all have to do it. We have to refuse to eat these so-called foods and we have to let people know why. We have to publicly expose these myths for the fiction that they are. We have to use social media, talk to our friends, demonstrate, write letters to the editor…we have to shine the light on the lies. Education and information are the weapons for this fight. Make no mistake – the encroaching takeover of our food supply is an extinction level event. Will you just watch it happen? Credit: Thank you to the wonderful social media community that generously contributed to this article! Your activism makes the fight possible!